Live in Taipei? 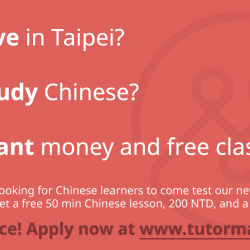 Study Chinese? Want free money and classes?